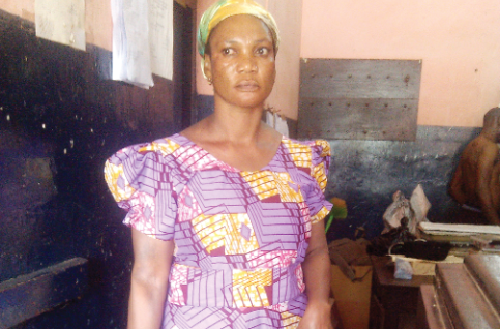 The Hohoe Police Command has arrested the prophetess of the Yesu Apam Mogya Prayer Camp for allegedly defrauding a provision shop owner in Hohoe in the Volta Region. According to The Mirror newspaper the victim who reported the case to the police is not the first to be swindled by the prophetess. Her style of defrauding is to buy huge sums of items from provision shop owners and subsequently abscond without paying for the items. According to the Hohoe Divisional Commander, ASP Godwin Enim-Ansah, Elizabeth Amanor who is also known as Elizabeth Anan and Saharatu Adams has used the same modus operandi to defraud people in other places like Techiman, Takoradi, and Takwa. Narrating the incident ASP Enim-Ansah said the suspect asked the complainant to supply her with food items including rice, sugar, milk and canned products worth GH¢69,854.00. After supplying the items demanded, the prophetess allegedly refused to pay. The victim then reported her to the Hohoe Police who arrested the Elizabeth. But she signed a fake cheque of GH¢ I billion to the police to cover the said debt and went into hiding. The police arrested her from her hideout on August 29. She later confessed she had taken the items to her shop in Tamale and did not have enough money to pay her debt. ASP Enim-Ansah said the police is conducting further investigations into the matter and will be arraigned afterwards.